Ron Chernow's "Grant" was another Christmas gift. Coming in at 959 pages of text plus 53 pages of notes and an extensive bibliography, it's little wonder it took me about four months to read it. Chernow could have loped off a couple of hundred pages without sacrificing the comprehensive nature of this biography. Frequently Chernow provided a second or third description of a situation or action when a single one would have sufficed. I suspect Chernow was especially concerned to support his conclusions when they departed from received folklore. Several points stood out. No biographer of Ulysses Grant can overlook his struggles with alcohol. It seems that Chernow has done a fair job of separating the facts of Grant's abuse of strong drink (of which there are plenty) from the exaggerations of his professional and political enemies. It's not surprising, given the political appointments of most general officers for the Union, that Grant suffered from jealous gossip. Yet Chernow doesn't sugar-coat the abuse of alcohol that led to Grant's resignation of his initial military commission in 1854 and his intermittent bouts with drunkenness even after his return to active service in 1861. It is, however, Chernow's settled conviction that Grant's elevation to Lieutenant General in 1864 and his two terms as president did not suffer from from the abuses that characterized his earlier life. The close proximity of his wife Julia had much to do with Grant's ability eventually to keep his vows of abstinence. Grant, like Lincoln, was initially motivated to fight for the Federal side to maintain the Union in face of what he believed was unconstitutional secession by the states of the Confederacy. Indeed, Grant was unable to comprehend how Confederate military officers, many of whom had been classmates at West Point and sworn to defend the Constitution, could abandon their oaths. But, like Lincoln, Grant came to see the War Between the States as a mission to root out the institution of race-based slavery. And, after Lincoln's death, Grant came to the conviction that the Federal government should prohibit not only slavery but race-based discrimination against Blacks. I had not known of Grant's extraordinary commitment to enacting, preserving, and defending the civil rights of of African-Americans even in the face of persistent Northern racism. Third, Chernow describes in painstaking detail Grant's astonishing credulity when it came the venality and corruption of family, friends, political appointees, and, at the end, business partners. Grant was certainly not above accepting personal gifts from businessmen who had something to gain from a connection with him but there there seems to be no evidence that Grant made decisions based on such largess. His political appointees, however, actively traded their power for cash but Grant stuck by them until the bitter end (and beyond). Grant himself could have done much more to avoid or at least limit the persistent corruption that plagued his two administrations but seemed incapable of believing that friends or subordinates could act as they did. Grant certainly bears personal culpability for failing to pay attention to the details of his administration and later his business partnership and for failing to act promptly when circumstances demanded. 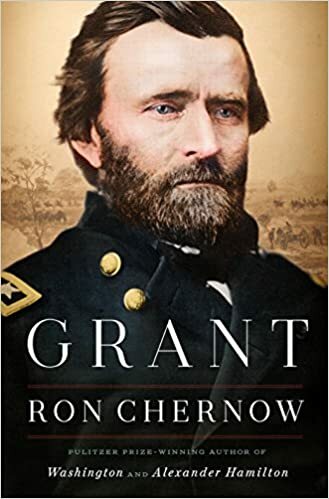 When finally reaching the end of "Grant," Chernow leaves the reader with a detailed picture of flawed man who largely rose to the demands of the extraordinary positions in which he found himself. In his military leadership, Grant effected the goal of maintaining the Union of the United States. Chernow satisfied me that, with the exception of Cold Harbor, Grant deployed his soldiers in superb tactical fashion given the technology and communications of the day. And it was Grant's strategic vision deployed after being given command of all Federal forces, unmatched by anyone in the Confederacy, that ultimately forced the capitulation of the southern armies. And in Grant's presidency, he led the process of Reconstruction and did more to advance the rights of the new Black citizens than any president until the mid-twentieth century. All in all, a gift that I greatly appreciate.